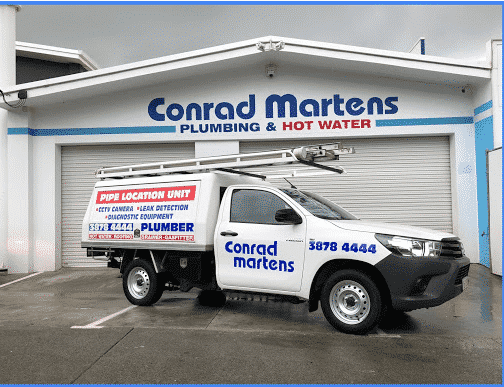 Here at Conrad Martens Plumbing and Hot Water, we pride ourselves on high quality and reliable workmanship at an affordable price. In fact, we guarantee we will beat any written quotation for hot water installation. Our reputation for quality has earnt us the role of Rheem’s ‘prefered plumber’ and Dux’s service agent for the Brisbane area. To provide the best service possible, our hot water specialists carry Plumbing, Gas Fitting & Restricted Electrical licences. 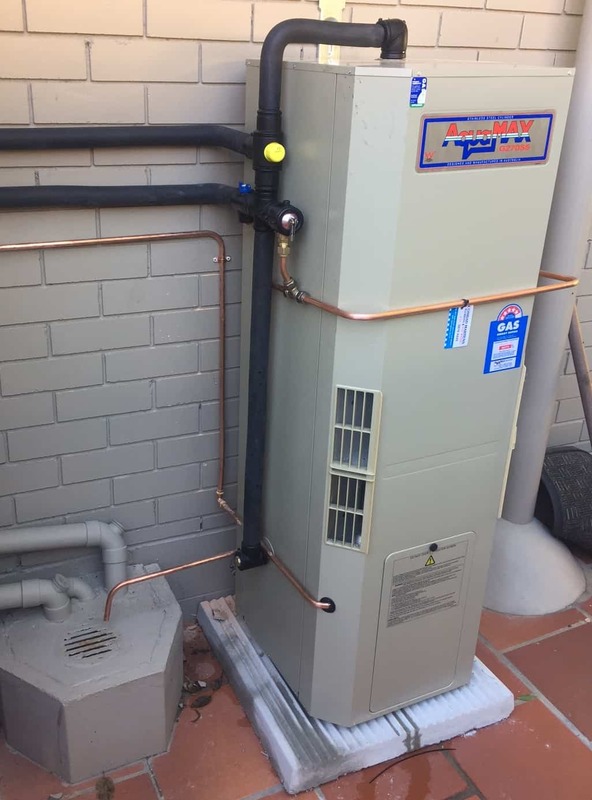 The landscape for hot water system installation in Brisbane has undergone a significant overhaul with the introduction of the Form 4. With the increase in regulation surrounding hot water, new installations are regularly audited by the local council. Building and pest inspections now also look at non-compliant hot water installation. This guide gives an overview of what’s required to ensure your hot water system is up to standard and carries a full manufactures warranty. Storage water heaters should be positioned on a level, stable and impervious base designed and located to avoid ponding. Depending on the situation, we either install a concrete slab or a plastic “pizza base”. These bases are cost effective, practical and are a nice addition to the look of the hot water installation. Valves which discharge water, such as the PTR (pressure temperature relief) and ECV (expansion control valve) can no longer discharge onto the ground. In order to comply, drain lines must now discharge to a drain or downpipe. In the majority of cases, an appropriate drain line location can be found in close proximity to the hot water unit. If, however, no options are available, it may be required to relocate the hot water heater to a new location. Insulation is required on all hot water valves including the; isolation valve, non-return valve and tempering valve. Surrounding pipework within 500mm of the cold inlet and hot outlet of a tank must also be insulated for energy efficiency. Whilst ensuring your installation is compliant, insulation is also a great way to improve the energy efficiency of your system. All hot water systems will eventually burst. Internal hot water systems pose a major floor risk and have the potential to cause significant property damage. If you system is located indoors, it’s essential that there are measures in place to mitigate the potential damage. By following the below points, we can reduce the risk of damage and ensure your installation is covered under insurance. – If an internal hot water system has the potential to cause damage it must go in a tray. – Tray waste sizes must comply with the plumbing code to ensure water can adequately escape. – If a tray waste is not a viable option, a “Terminator” or “Mildred” valve may be installed to safeguard against flooding. In order to prevent the growth of bacteria such as Legionella, hot water storage systems must be heated to a minimum of 60° Celsius. In order to reduce the risk of scalding, Tempering valves are used to bring the temperature back down to 50° Celsius. Standard VE tanks are capable of reaching 70 degrees while stainless Steel tanks can heat up to 80 degrees. Depending on your area, the available water pressure may fluctuate. Whilst areas such as St Lucia and Toowong have notoriously high pressure; suburbs like Brookfield and Pullenvale suffer from low water pressure. Hot water tanks are manufactured to tolerate specific pressures. Generally smaller tanks operate under high pressure (indicated by the red tag on the PTR valve) while large tanks require a pressure limiting valve. Knowing which valves to select is necessary to ensure your tank is under warranty and is not prone to leaks. Gas fuelled Hot Water Heaters are a potential hazard if not installed correctly. As well as igniting a highly-flammable gas, these units also produce potentially harmful flue-gasses. The good news is these risks are eliminated when the installation and commissioning are completed to standard. We ensure all recommended clearances are maintained, and your gas hot water installation meets all warranty and compliance requirements. For more information click here to view our Brisbane gas fitting page.